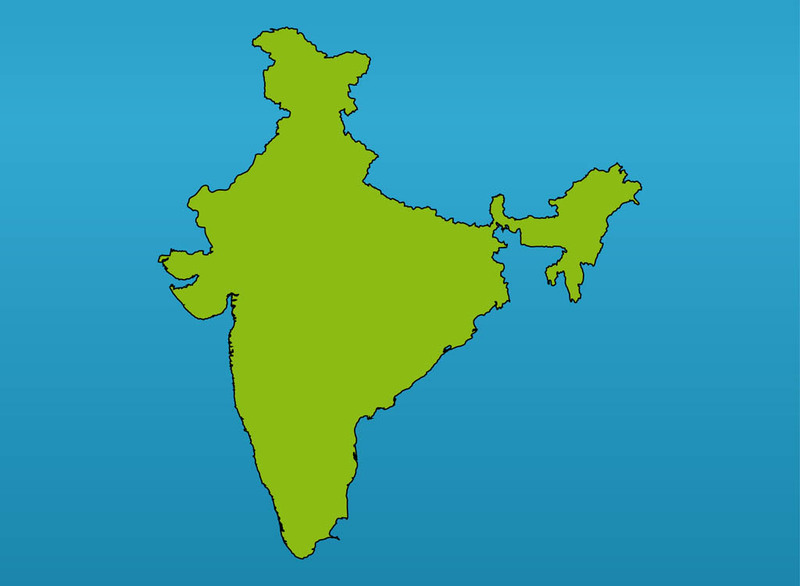 Vector map of India for geography, traveling, vacation, exploration and countries designs. Solid color outlines with detailed border lines. Coastline with gulfs and peninsulas. Free vector design for posters, maps, educational images, wallpapers, survey data info graphics and postcards visuals. Tags: Asia, Borders, Coastline, Country, Geography, Land, Map.